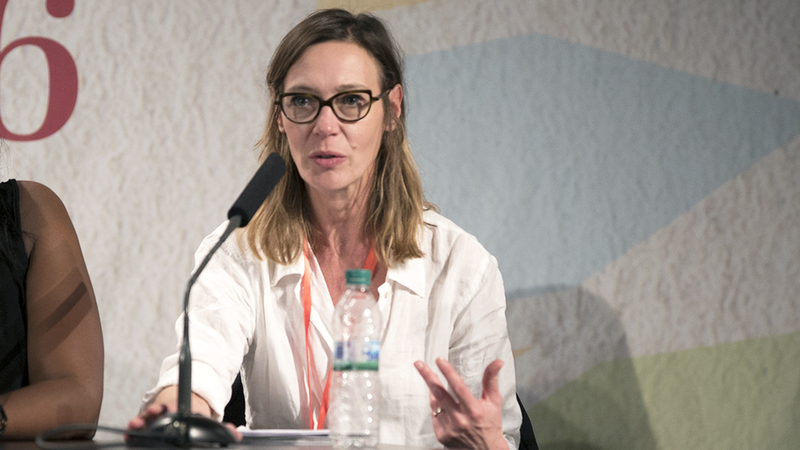 This event, moderated by Alexis Baden-Mayer, Organic Consumers Association, US, addressed the use of sustainable agricultural practices and landscape restoration as tools to address climate change, and contribute to negative carbon emissions. Konrad Meyer, Biovision Foundation, called for enhancing the scientific evidence for sustainable agriculture in different contexts, and urged showcasing these practices. He advocated for a greater focus on enabling conditions for sustainable agriculture, including at the national and subnational level. 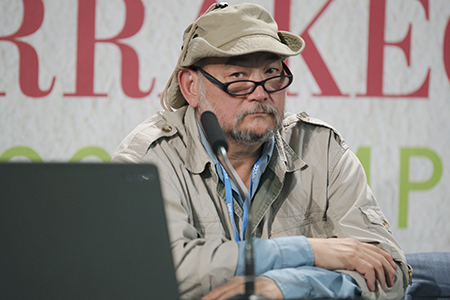 John D. Liu, Environmental Education Media Project, presented a film on landscape restoration. He described the establishment of ecosystem cooperatives and ecosystem camps as a bottom-up approach that encourages landscape restoration and teaches regenerative agriculture. 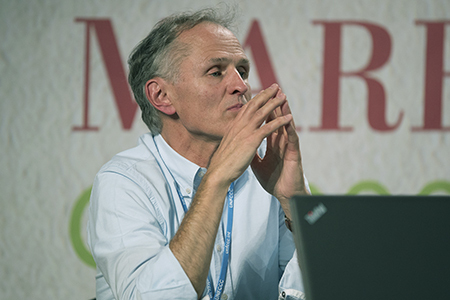 Andre Leu, President, IFOAM-Organics International, said an important tool for addressing climate change is soil management, noting that soil holds twice the amount of carbon as other potential carbon sinks. 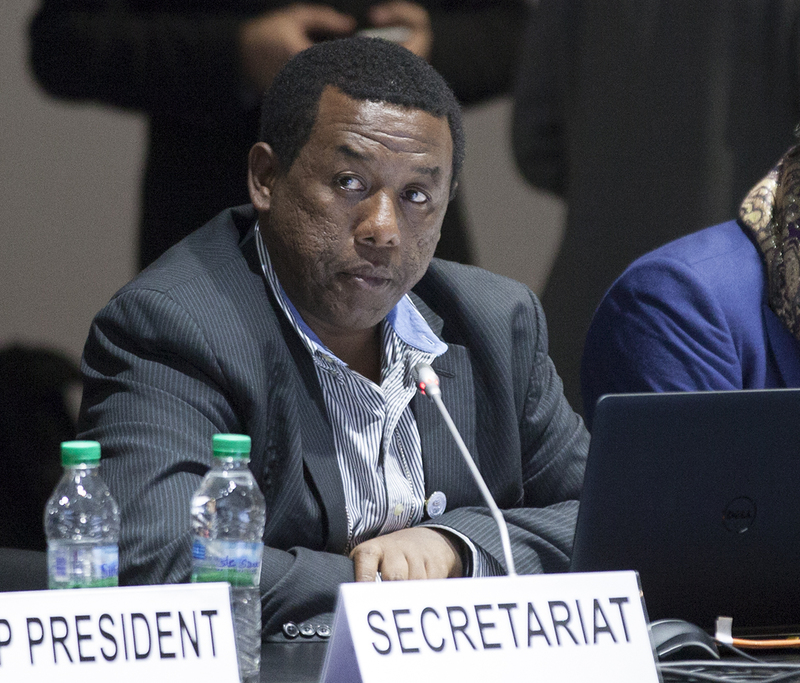 He stated that farming needs to stop contributing to climate change and instead become one of the most important solutions to addressing climate change. 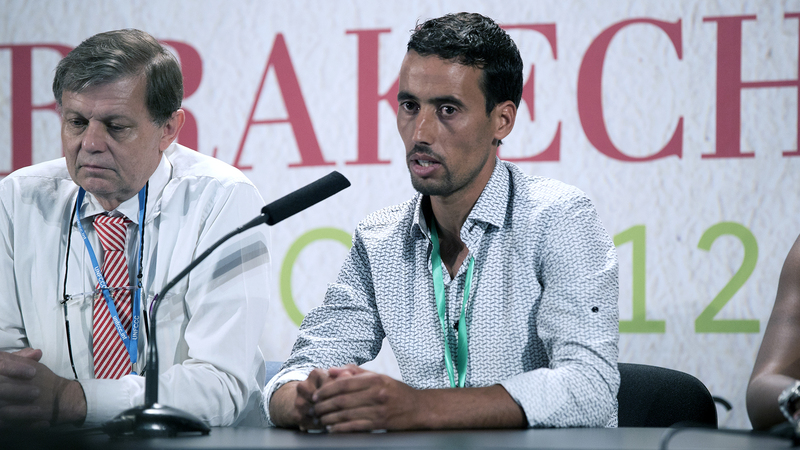 Abdellah Boudhira, Regenerative Farmer, Morocco, said he has changed his farming practices to using organic methods. He said that use of, inter alia, crop rotation and heirloom seeds has assisted in regenerating soils and improved crop resilience to pest infestations. Barbara Hachipuka Banda, Natural Agriculture Development Program, Zambia, highlighted the benefits of natural agriculture practices, by, for instance, using mulching to preserve soil water retention, which can help in times of drought. She said her organization also works on improving access to markets for some smallholder farmers. Murielle Trouillet, 4p1000 Initiative, Ministry of Agriculture, France, presented on the 4p1000 initiative that aims to, among others, improve knowledge on soils and collaboration among stakeholders, and facilitate access to finance. She said that current practices should be valorized and disseminated. In the ensuing discussion, participants addressed: improving coordination between government ministries to ensure a coherent message; paradigm shifts to avoid business-as-usual in farming; the increasing amount of food aid required for countries in Sub-Saharan Africa; blue carbon farming practices and their benefits, including food security; and work on regenerating farms around Fukushima, Japan. 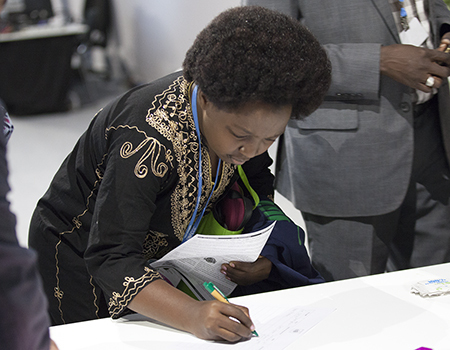 Barbara Hachipuka Banda, Natural Agriculture Development Program, Zambia, said that there are discrepancies between reported statistics and data on climate change, and what is actually happening on the ground. 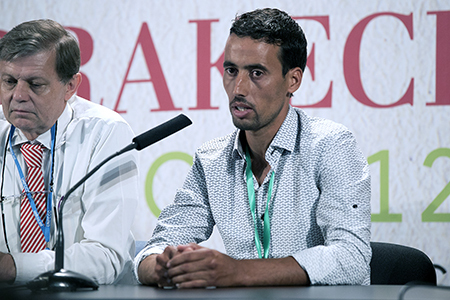 Abdellah Boudhira, Regenerative Farmer, Morocco, said that using organic farming methods can reestablish the connection between farmers and consumers, and reduce the price of vegetables by cutting out the middlemen. 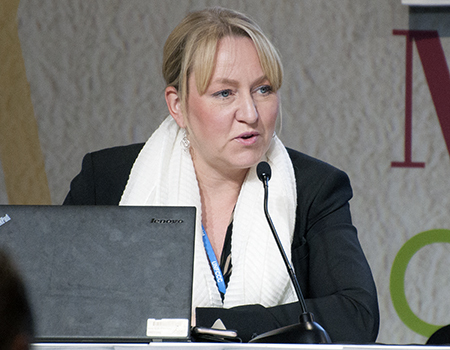 Murielle Trouillet, 4p1000 Initiative, Ministry of Agriculture, France, said that farmers are key to addressing climate change, stating that they must be a part of the elaboration of tools to help improve farming practices. 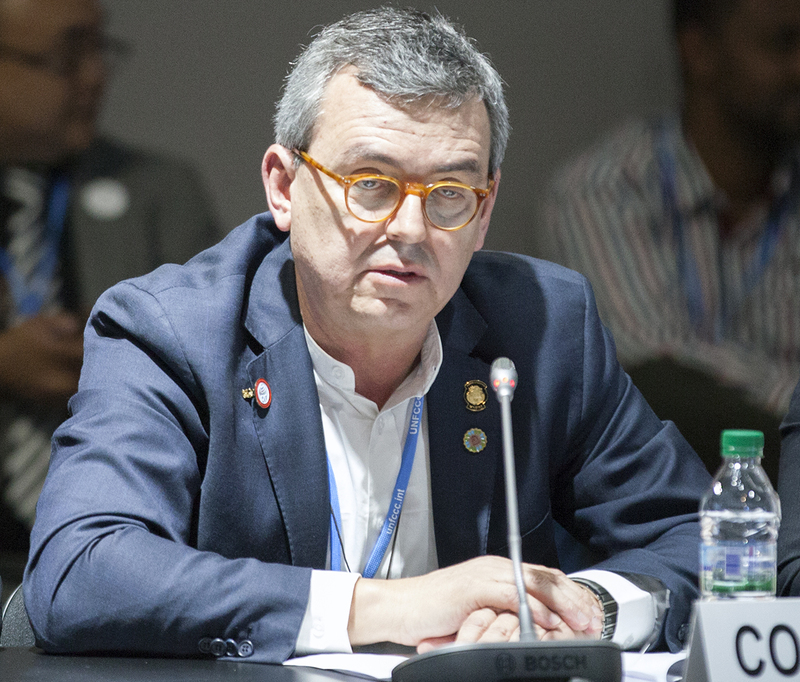 Andre Leu, President, IFOAM-Organics International, said that climate change is like a sinking boat where we have not even managed to plug the leak. 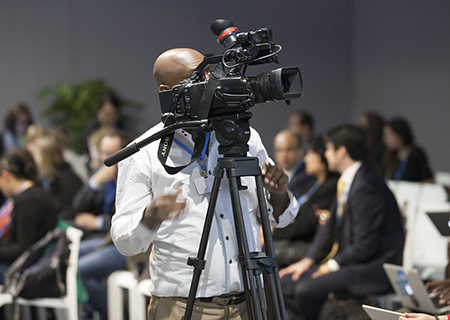 John D. Liu, Environmental Education Media Project, presented a film on landscape restoration, and addressed its contributions to higher, sustainable yields. 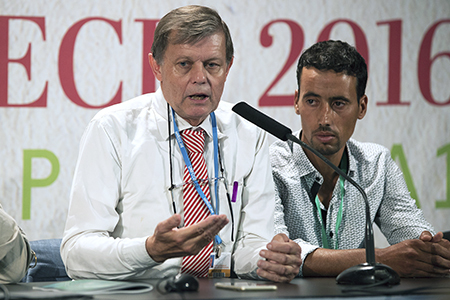 Konrad Meyer, Biovision Foundation, said that sustainable agricultural practices are “the right way forward,” and evidence to support this should be strengthened. 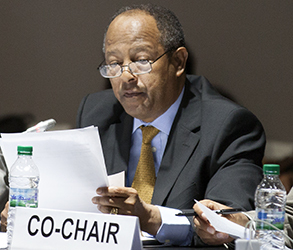 Moderator Negash Kebret Botora, Ethiopia, opened the meeting. CVF Chair Gemedo Dalle, Ethiopia, invited CVF countries to pursue robust domestic climate action agendas to ensure the full implementation of the Paris Agreement. 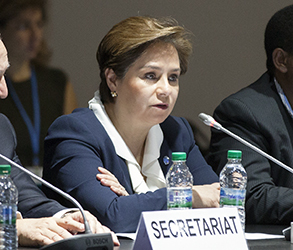 Patricia Espinosa, Executive Secretary, UN Framework Convention on Climate Change (UNFCCC), underscored the instrumental role of the CVF in the recognition of the 1.5°C temperature target in the Paris Agreement, and said the proposed CVF declaration assures a continued political will for high-level ambition. 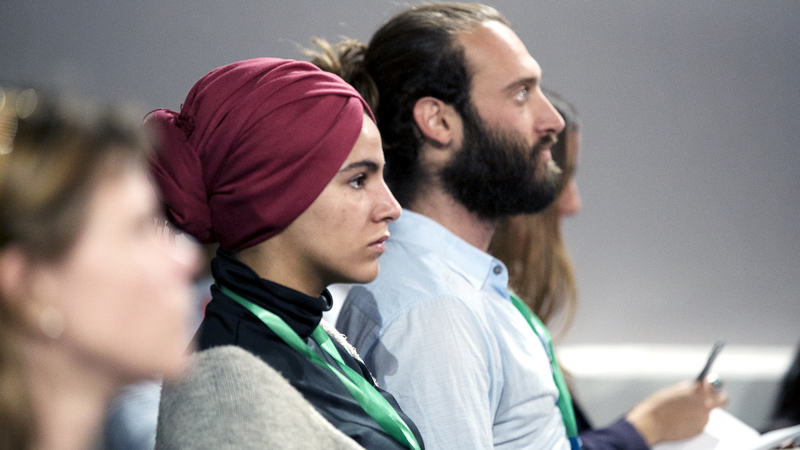 Imane Boulberj and Abdelkrim Achache, Youth Climate Change, relayed messages from over 50,000 school children in Morocco, underscoring the need to teach children how to protect the environment. 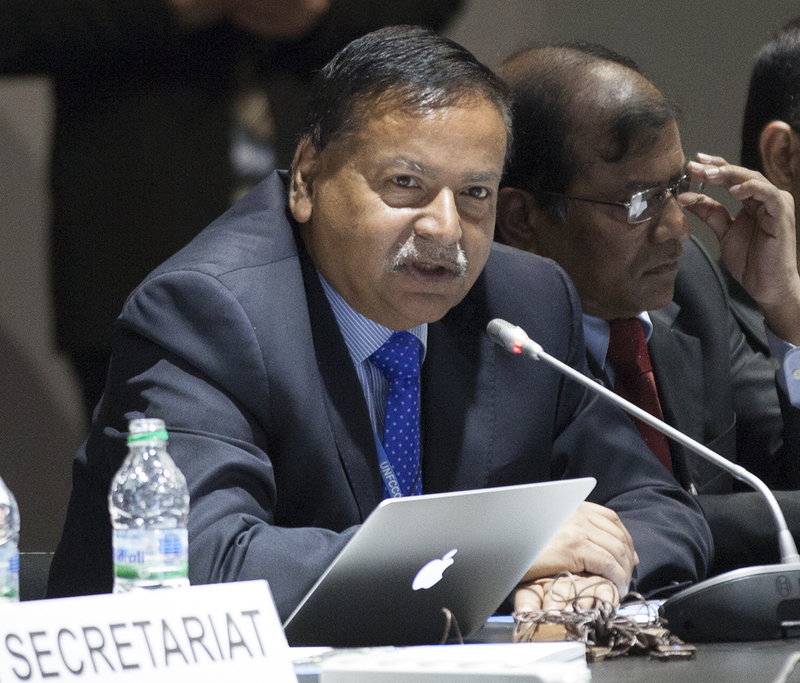 Saleemul Huq, Chair, CVF Expert Advisory Group, highlighted the “Low Carbon Monitor” scientific report, noting that the 1.5°C target is not only possible, but presents an opportunity for countries. He emphasized that the next tranche of CVF activities will focus on South-South cooperation. 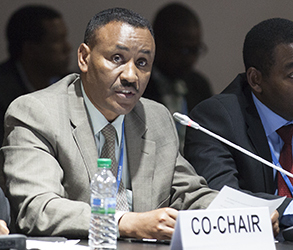 Ambassador Gebeyehu Ganga Gayito, Deputy Permanent Representative of Ethiopia to the UN, noted that, following review by the Ministers at the CVF Troika Plus meeting in Addis Ababa in October 2016, draft outcome documentation was approved during the Senior Officials Meeting on 10 November 2016, with some modifications on, inter alia: modification of language on the 1.5°C target; and consideration of future adoption of Designated National Focal Point Communications. 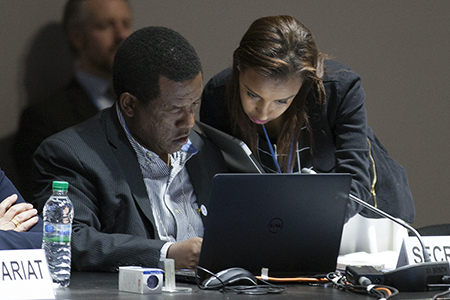 Mulugeta Mengist Ayalew, Director of Climate Change Diplomacy, Office of the Prime Minister, Ethiopia, presented a summary of the CVF Troika Plus work, noting minor modifications to the documents. Dalle noted the outcome documents; invited voluntary contributions; underscored the convening of the first CVF summit in mid-2018; and invited countries who wish to join the CVF to make their statements. 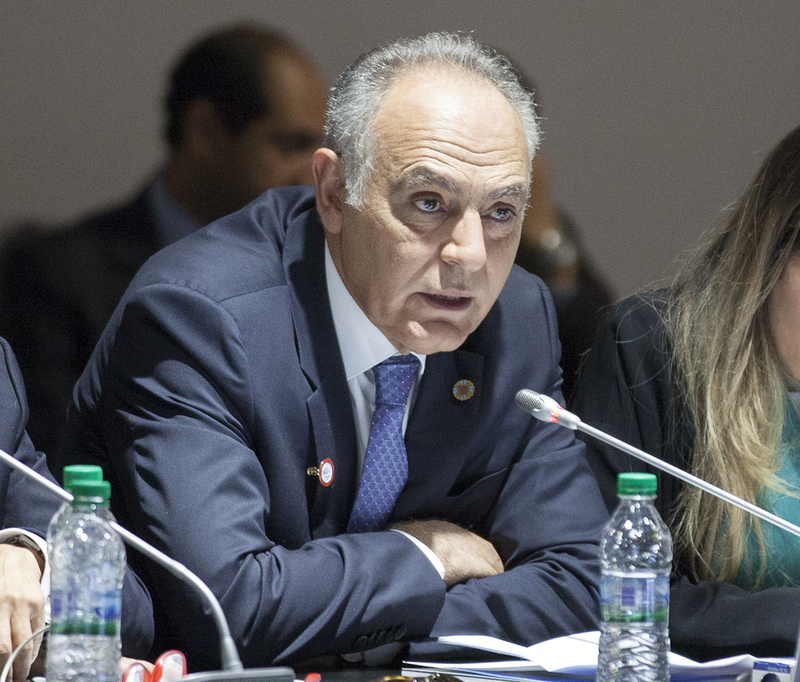 Colombia, Gambia, Lebanon, Palestine and Samoa formally submitted their requests to join the CVF. 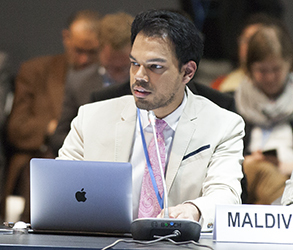 The Maldives, seconded by Costa Rica and Bangladesh, tabled a motion, which was agreed by acclamation, for the adoption of the outcome documentation (CVF2016/1), including: the Guidance for Capitalization of the CVF Trust Fund; operational modalities; the CVF and Vulnerable 20 (V20) Communications Strategy; the CVF Vision; and the Marrakech Communiqué. 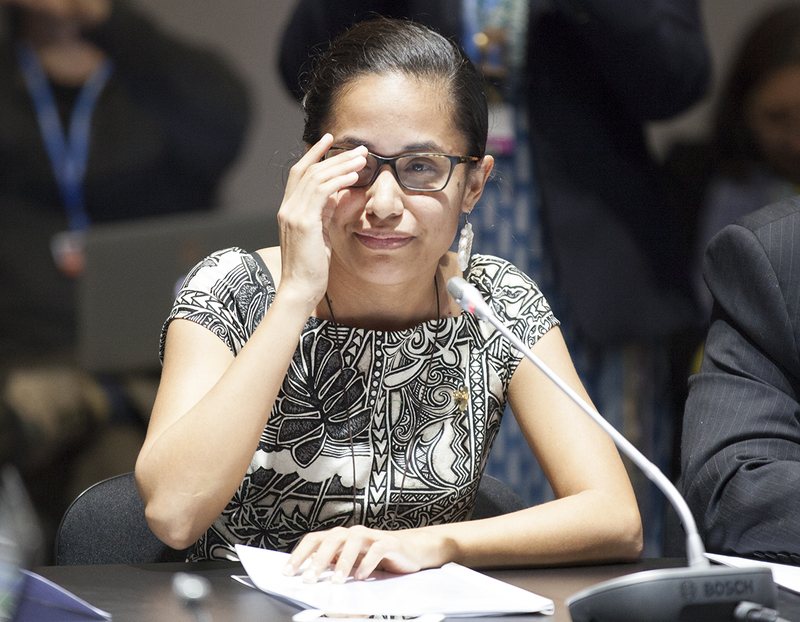 Noting the legend that her ancestry had the power of talking to sharks and turn the tides, Kathy Jetnil-Kijiner, Marshallese Poet, Marshall Islands, equated the Marrakech Communiqué to the spoken word that has the power to change the climate tide. 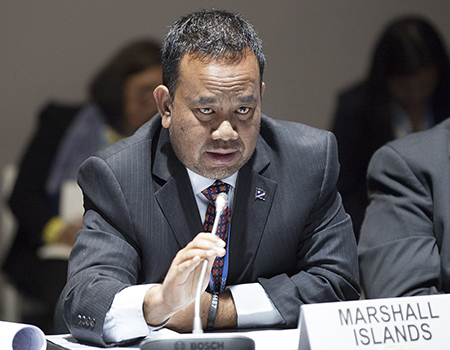 On statements by the Troika (Costa Rica, Ethiopia and the Philippines), Marshall Islands expressed commitment to the 1.5°C target and underscored that the new energy revolution is unstoppable. Stressing that the ultimate goal is long-term survival and not only short-term gains, the Philippines stressed the CVF is not a UNFCCC negotiating body but an advocacy organization, which highlights the urgent need for climate justice and the benefits of early climate action. Costa Rica underscored the development of low-emission pathways for the rest of the century and underscored the need for rapid implementation of the Paris Agreement while safeguarding its integrity and ambition. COP 22 President Salaheddine Mezouar underscored that the CVF Roadmap seeks to turn NDCs into actionable, bankable projects, and provide a clear plan for finance and capacity building. He said the COP Presidency would take into consideration the CVF recommendations. CVF members Senegal, Rwanda, Tanzania, Afghanistan, the Dominican Republic, Nepal, the Maldives, Mongolia, Sri Lanka and Guatemala provided statements, highlighting, inter alia: their commitment to the CVF’s work; national challenges related to climate change and efforts to address its negative impacts; the importance of cooperation and synergies among vulnerable countries to scale up efforts to address climate change, including sharing innovations, experiences and lessons learned; the need for international support, including financial mechanisms to help them fulfill their commitments and build resilience; the importance of institutional strengthening and capacity building; and the need for inclusivity and transparency, including in collective proposals to the Green Climate Fund (GCF). In their remarks, CVF observers Germany, China and France, lauded the CVF’s work and stressed, among others: their long-term goals towards carbon neutrality; and their efforts to support developing countries, including with respect to capacity building, building resilience, renewable energy development, early warning systems and insurance against disasters. 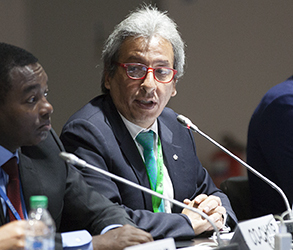 On behalf of civil society, Manuel Pulgar-Vidal, Head of Climate and Energy, World Wildlife Fund (WWF) International, said the 1.5°C target is only possible with early action and a shift to 100% renewable energy by mid-century. 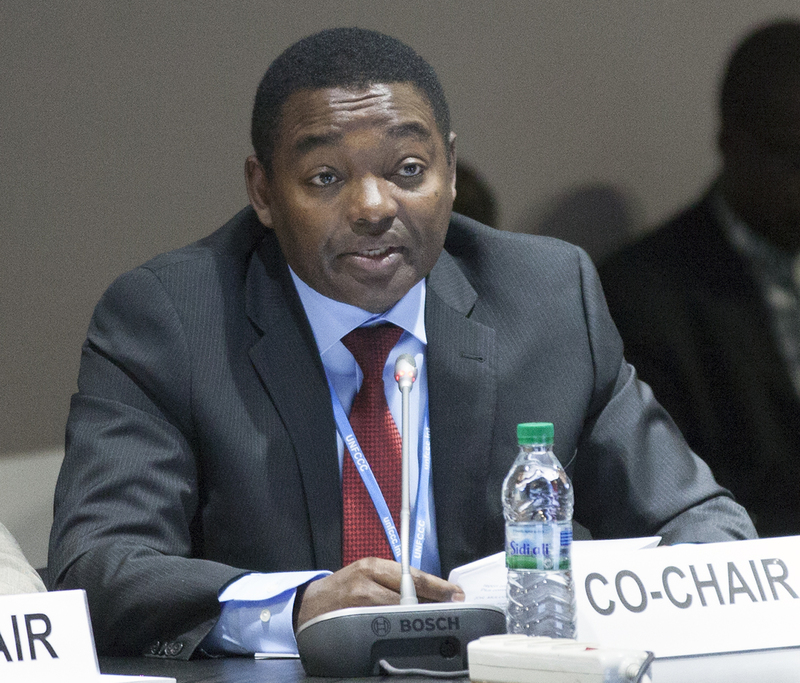 He underscored the need for funding for adaptation and loss and damage. CVF Chair Dalle closed the Forum at 12:20pm. 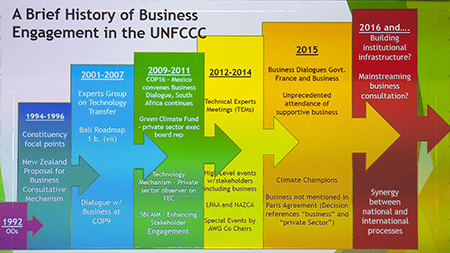 Stephen Eule, US Chamber of Commerce, moderated the event, which explored business perspectives on the implementation of the Paris Agreement, including the engagement of the business community in the development of NDCs. Stating that governments have indicated their interest to engage stakeholders, including the business community, Norine Kennedy, USCIB, said this provides an opportunity to move forward in a facilitative dialogue after COP 22. Tanyeli Behiç Sabuncu, Tüsiad, explained the Turkish business community’s involvement in developing and implementing Turkey's NDC. He referred to several policy instruments, underscoring the need for consistency within different policies to support business performance. 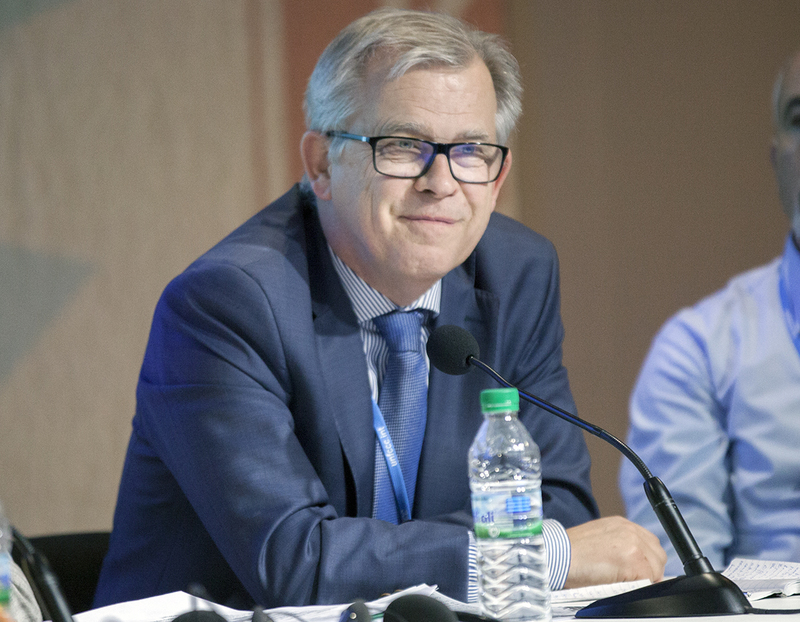 Walter Koren, Director General of the Austrian Federal Economic Chamber, lauded the momentum of the “working COP” to make progress on the Paris Agreement, pointing to the engagement of the Austrian business community. 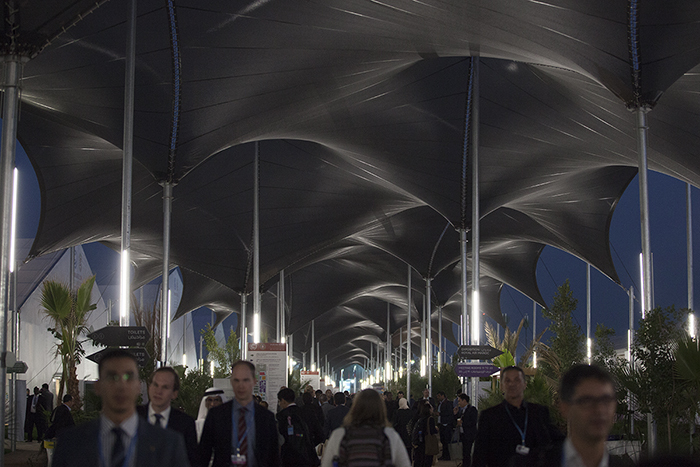 Highlighting that the green business sector is growing faster than an average business in Austria, he said a significant portion of research and development supports the environmental technology sector. Recognizing “good discussion” with the Swedish Government whereby the business community is invited to share their expert perspective, Maria Sunér Fleming, Confederation of Swedish Enterprise, admitted that these views are not always incorporated in corresponding policies. She stressed the need to retain business competitiveness under Sweden’s “strict” NDC. Saying many NDCs describe targets, but few specify policies to get there, Brian Flannery, Major Economies Business Forum on Energy Security and Climate Change (BizMEF), said businesses have to “put these pieces together.” He offered an example of a potential global carbon price, indicating it would have to increase considerably to meet the 2°C target. He called for an economy-wide perspective and global interactions, because businesses are interlinked. 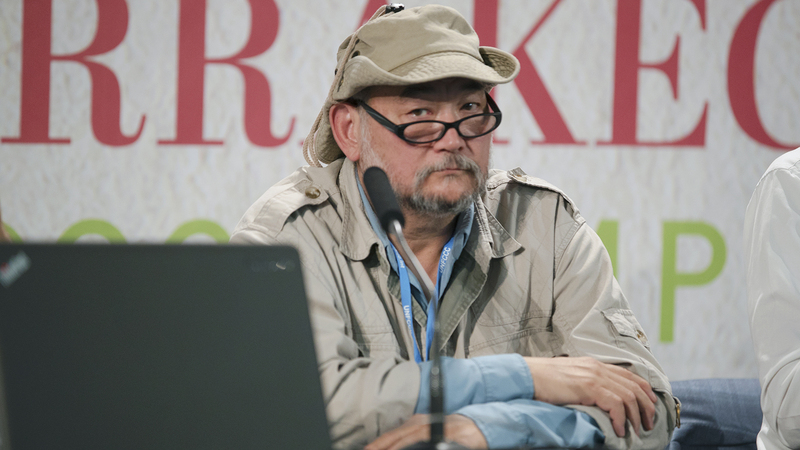 Referring to the Keidanren Action Plan for the Environment, Kazuhiko Hombu, University of Tokyo, said this included the collaboration of 60 different industries to address climate change and broader environmental issues. 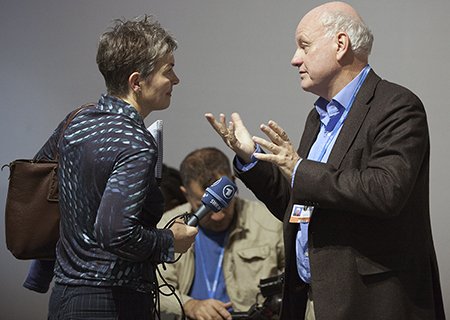 Commenting that it will be difficult to reach the 2°C target without carbon capture and storage (CCS), John Scowcroft, Global CCS Institute, said ten NDCs refer to CCS, covering approximately 30% of global emissions. 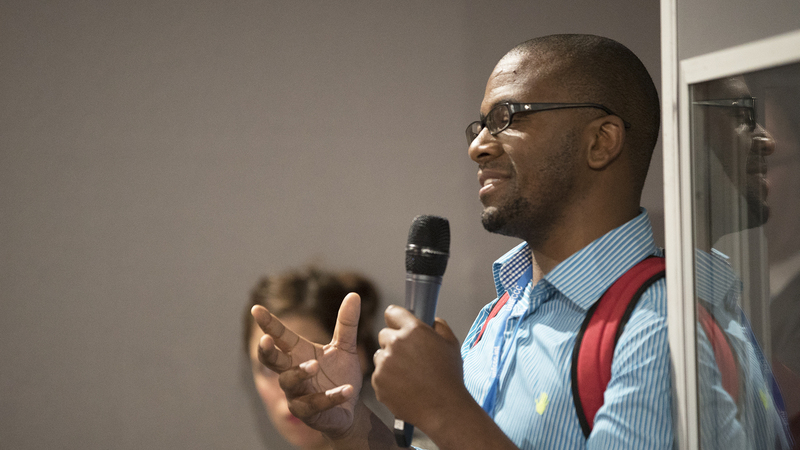 The ensuing discussion addressed, inter alia, how to interact with emerging green business associations, which may have different views on climate policies, and how to hold multinational companies accountable to NDCs. 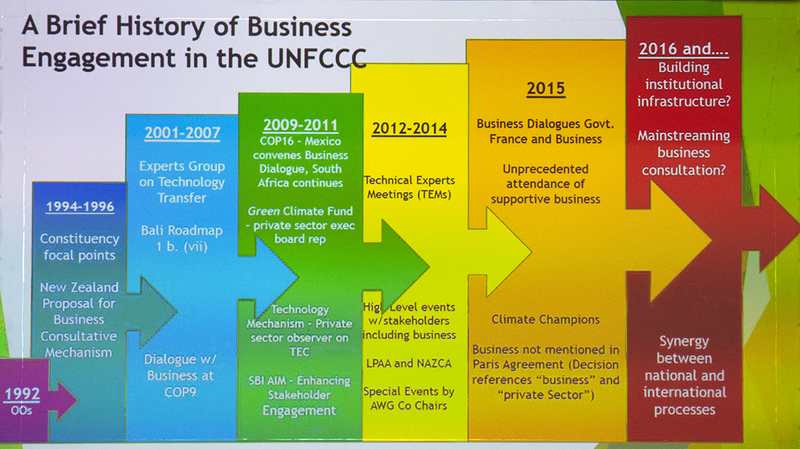 Norine Kennedy, USCIB, called business “a special stakeholder group with special expectations,” and suggested closer collaborations with governments to implement the Paris Agreement. Tanyeli Behiç Sabuncu, Tüsiad​, cautioned that an additional carbon tax on energy goods would have large economic impacts, especially on more carbon-intensive sectors in Turkey. 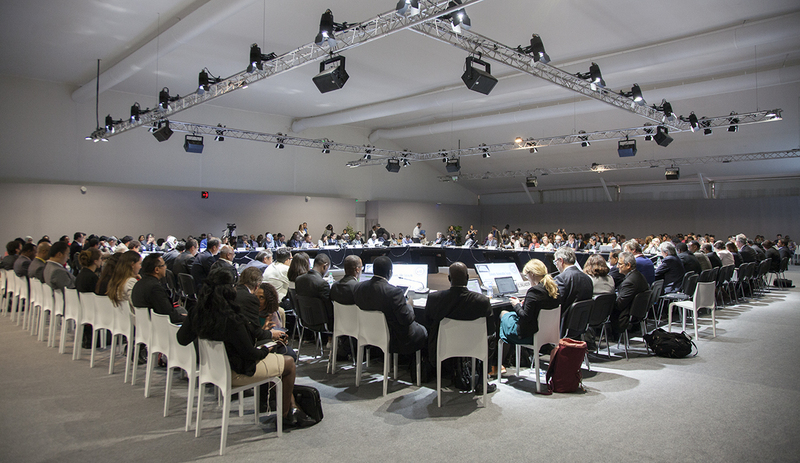 Stephen Eule, US Chamber of Commerce, explained that the side event aimed to promote a dialogue and share views between businesses and governments on how to implement the Paris Agreement. Isaiah Toroitich, ACT Alliance, moderated the event. 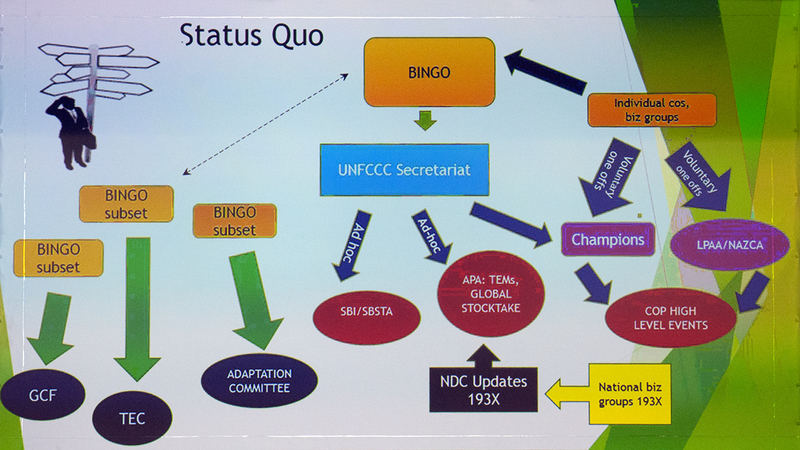 Chandra Bhushan, Deputy Director General, CSE, underscored that risk management and transfer mechanisms will become increasingly important in safeguarding small and marginal farmers from climate change impacts. 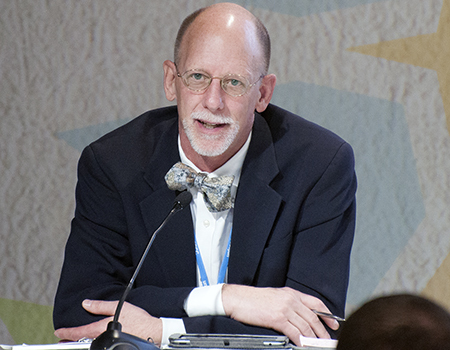 Noting an increase in extreme weather events, he stressed the growing demand in the developing world for agricultural safety nets to supplement adaptation. He proposed the establishment of a globally supported agricultural insurance mechanism by 2022. Gottfried Von Gemmingen, Federal Ministry for Economic Cooperation and Development, Germany, noted that insurance does not reduce risk, but rather promotes awareness of risk for better management. He warned that agricultural insurance mechanisms must be sensitive to moral hazard or they could lead to unsustainable agricultural practices. Teresia Powell, Fiji, highlighted cases of Fijian relocation due to sea level rise. 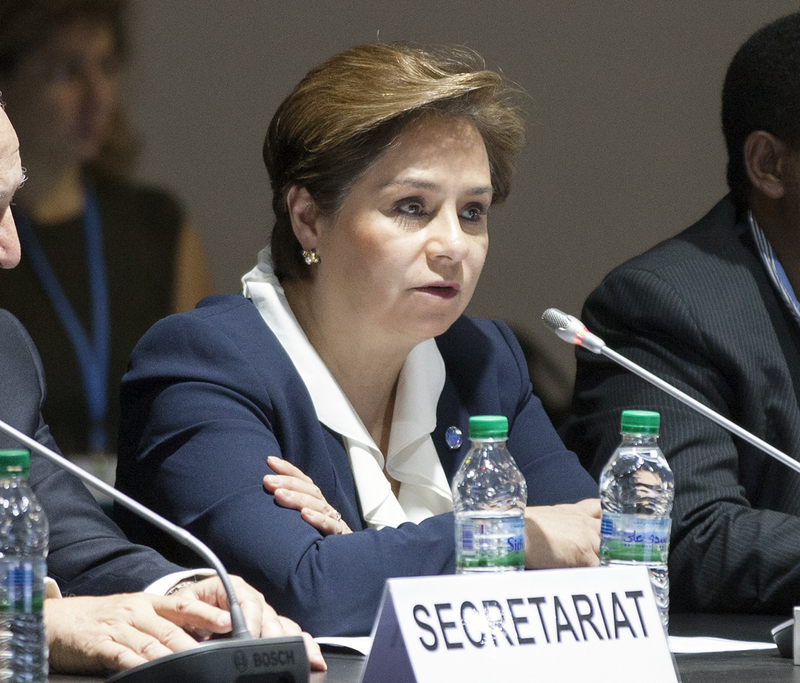 She welcomed anchoring Loss and Damage in the Paris Agreement in an article separate from adaptation. She stressed that community engagement in relocation is critical, especially in assessing risk, identifying new sites and developing building plans. 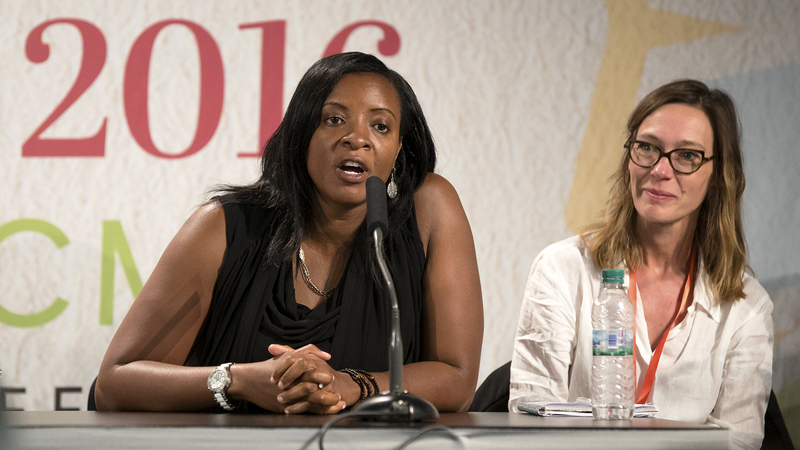 She drew attention to the spiritual, psychological and emotional costs of community relocation. Highlighting the challenges of pursuing a Loss and Damage agenda, Peter Tarfa, Director, Climate Change Department, Nigeria, welcomed the Warsaw International Mechanism for Loss and Damage associated with Climate Change Impacts (WIM). He reiterated the need for a globally supported agricultural insurance mechanism and said it should begin with the incorporation of national-level mechanisms. 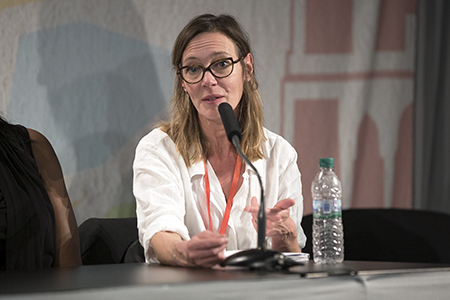 Sabine Minninger, Bread for the World, Germany, highlighted the role of humanitarian networks as most appropriate for distribution of Loss and Damage funds. She expressed hope that, by 2019, a Loss and Damage report would open doors to a broader financing discussion. During discussion, participants considered, inter alia: strategies to address unaffordable insurance premiums; the role of humanitarian networks to improve efficiency of insurance mechanisms; and the movement of Loss and Damage policy discussions from the periphery to the center of climate change negotiations. 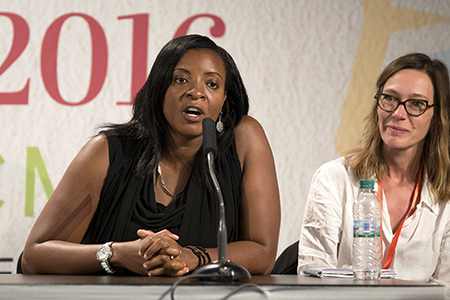 From L-R: Teresia Powell, Fiji; Gottfried Von Gemmingen, Federal Ministry for Economic Cooperation and Development, Germany; Peter Tarfa, Director, Climate Change Department, Nigeria; and Sabine Minninger, Bread for the World, Germany. 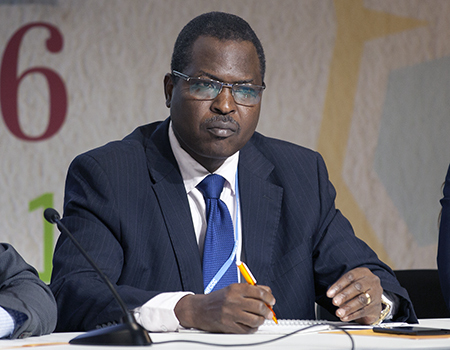 Peter Tarfa, Director, Climate Change Department, Nigeria, highlighted unprecedented flooding in Nigeria in 2012, which displaced more than two million people. 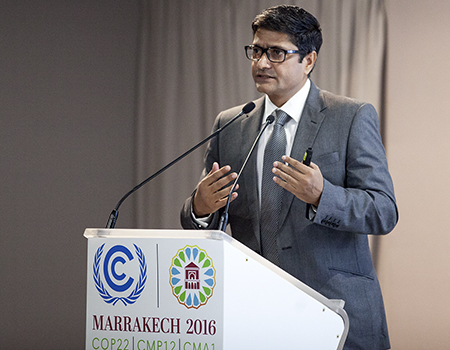 Chandra Bhushan, Deputy Director General, CSE, said that of the ten countries most affected by extreme weather events from 1993-2010, nine were developing countries. 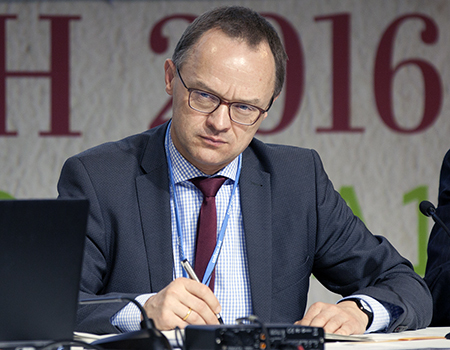 Gottfried Von Gemmingen, Federal Ministry for Economic Cooperation and Development, Germany, emphasized that equity and climate justice must be the cornerstones of any global insurance mechanism. 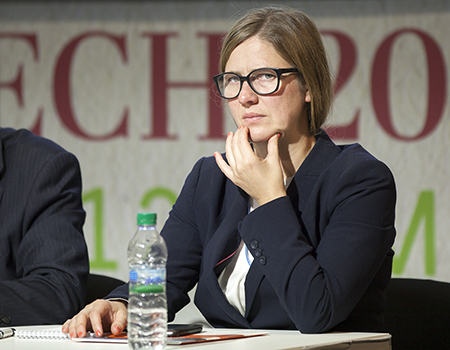 Sabine Minninger, Bread for the World, Germany, underscored the moral obligation to put Loss and Damage financing on the table. 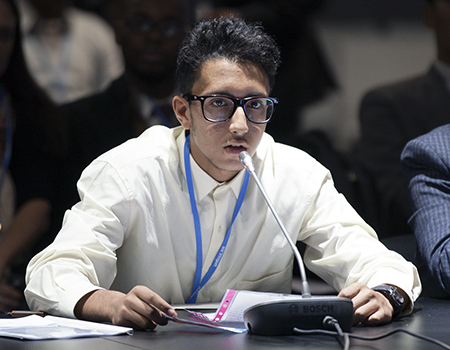 The event highlighted key advancements for the State of Palestine since joining the UN Framework Convention on Climate Change (UNFCCC) on 17 March 2016 and during COP 22 in Marrakech. Otto Simonett, Director, Zoï Environment Network, moderated the event. 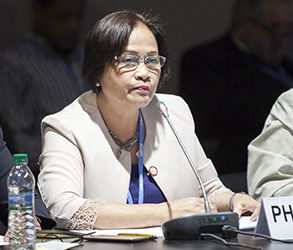 Adalah Atira, Chairperson of Palestinian Environment Quality Authority, emphasized that more than 90% of Palestine’s water is not suitable for human consumption, which makes water projects a priority. 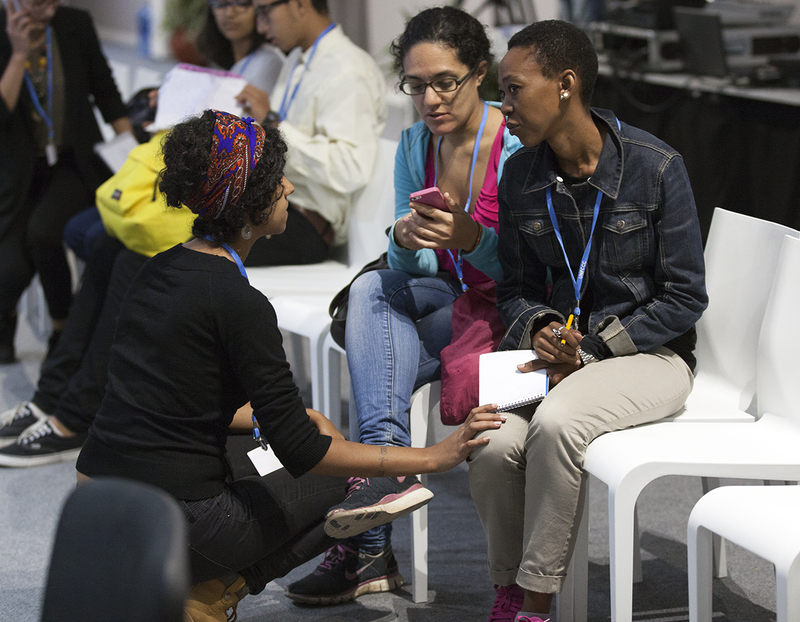 On challenges to scaling up climate action “beyond the Israeli occupation,” she stressed: lack of means of implementation, technology and human capacity to implement ambitious climate policies; and the lack of an appropriate institutional framework. 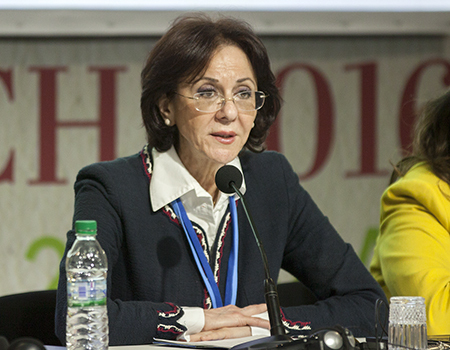 Rima Khalaf, Under-Secretary-General and Executive Secretary, the UN Economic and Social Commission for West Asia (ESCWA), stated that Israel exercises full control over Palestine’s resources, including water, land and food, which hampers opportunities in health and education. 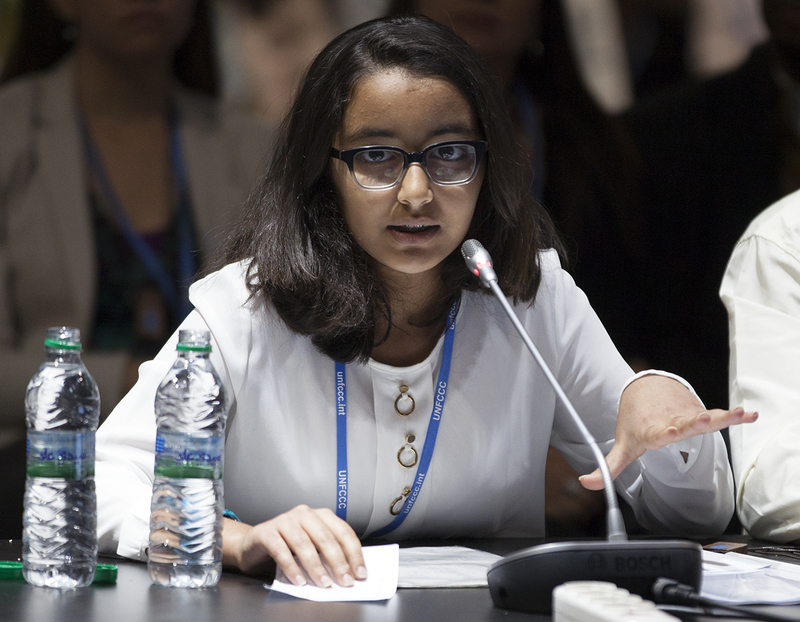 She emphasized that climate action in Palestine cannot be prosperous under the Israeli occupation. 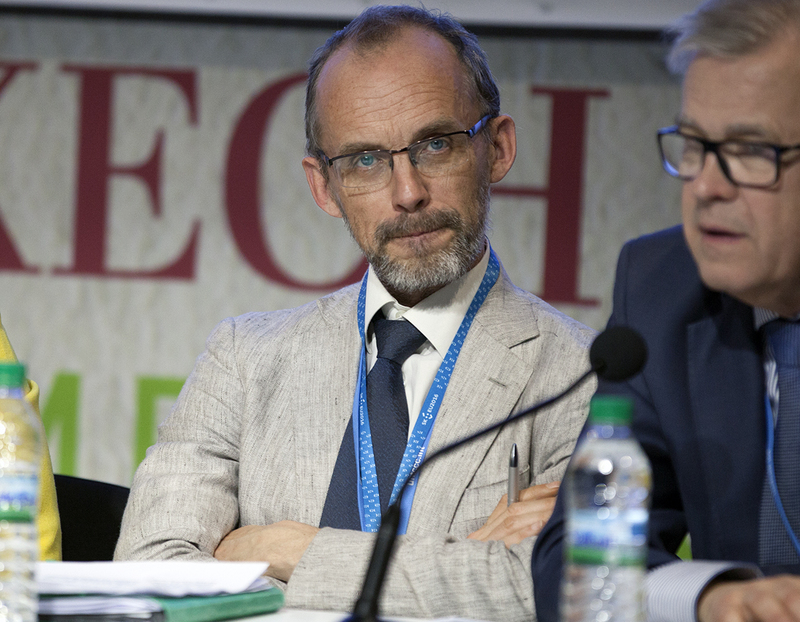 Lars Ronnås, Climate Change Ambassador, Sweden, said the Paris Agreement was a groundbreaking achievement of the international community and that “it’s important to keep the momentum” by being inclusive and human-centered. Peter Wittoeck, Head of Delegation, Belgium, recalled that Palestine is acting on climate change under extremely difficult circumstances. 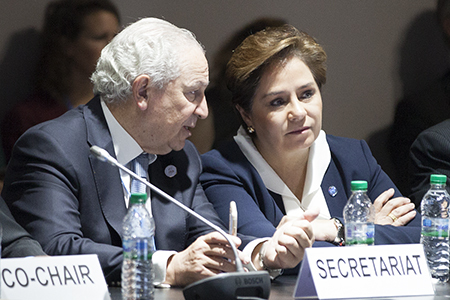 He mentioned that Belgium is fostering cooperation on climate change as a crosscutting theme, which includes education as a vital component of this partnership. 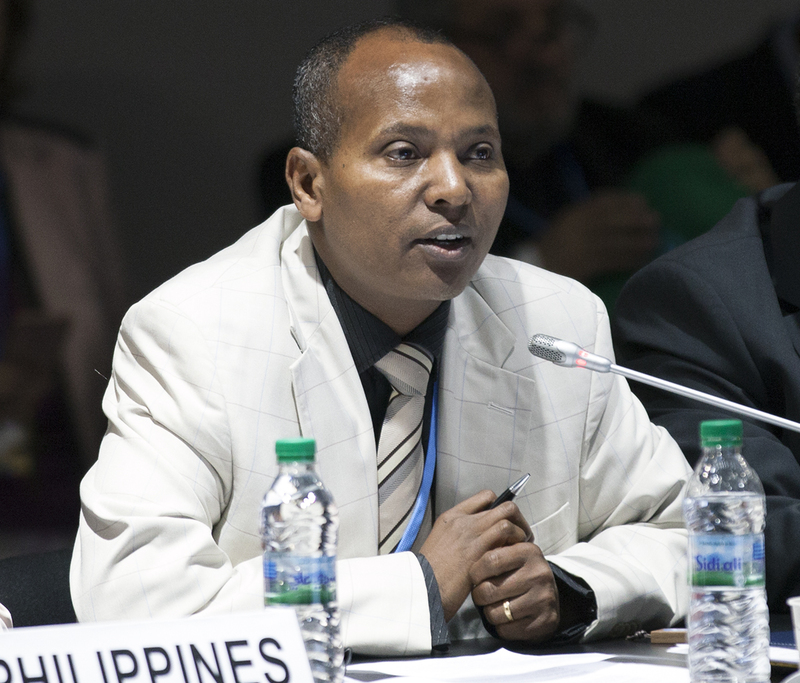 He concluded acknowledging the role of the Palestine Authority in leading actions on climate change, such as greenhouse gas (GHG) inventory reports. 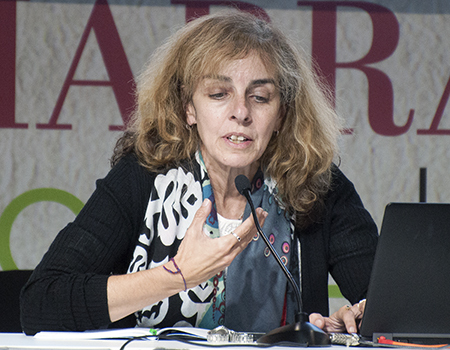 Rima Abu Middain, Team Leader, Natural Capital, UN Development Programme (UNDP), highlighted the work of UNDP in eradicating poverty and social exclusion in order to achieve the Sustainable Development Goals (SDGs). She noted the allocation of around US$122 million to protecting natural resources and promoting resilience in the State of Palestine. She stressed initiatives since 2009 to mainstream climate concerns in development policies, lamenting they have been constrained by weak institutional arrangements. Nedal Katbeh-Bader, Advisor for Climate Change, Environment Quality Authority, State of Palestine, provided an overview of the State of Palestine’s Nationally Determined Contribution (NDC), which focuses on adaptation. 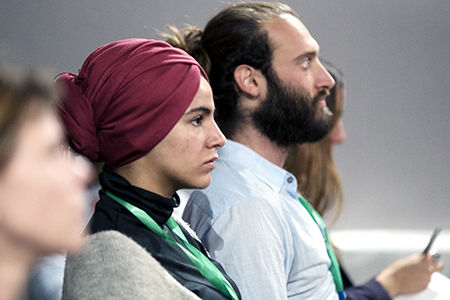 He explained how the Israeli occupation exacerbates the difficulties of tackling adaptation and mitigation effectively, which increases human vulnerability. 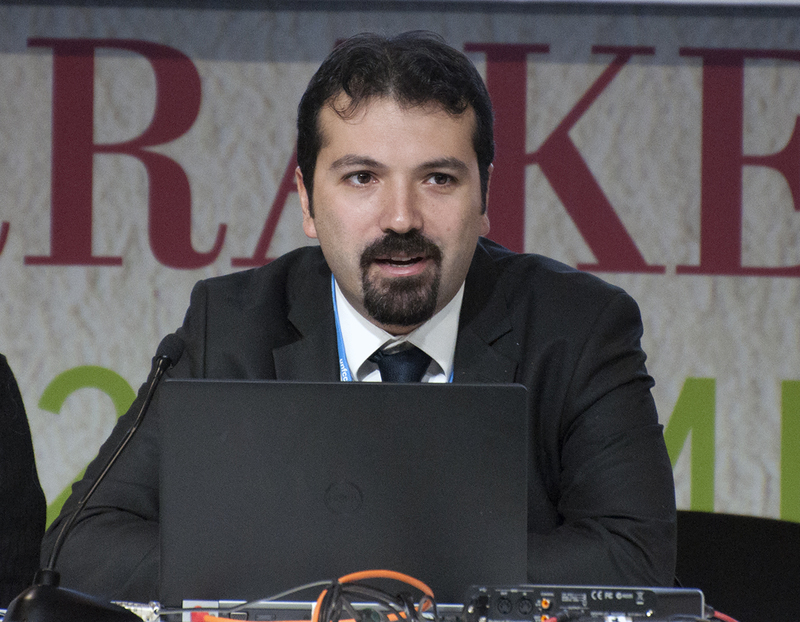 Mahmoud Abu Ebeid, Climate Change Advisor, Ricardo-AEA, offered a technical perspective, presenting Palestine’s progress in the short term, including: the development of a national GHG inventory; mitigation options outlined in the Initial National Communication Report (INCR) submitted to the UNFCCC Secretariat; and vulnerability assessment and adaptation in all sectors. 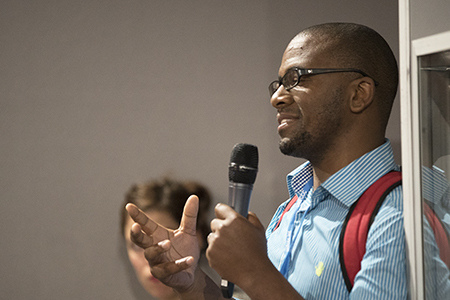 In the ensuing discussion, participants considered: the importance of regional cooperation for implementing the NDC; solutions for dumping industrial waste; and challenges to accessing technology and finance. 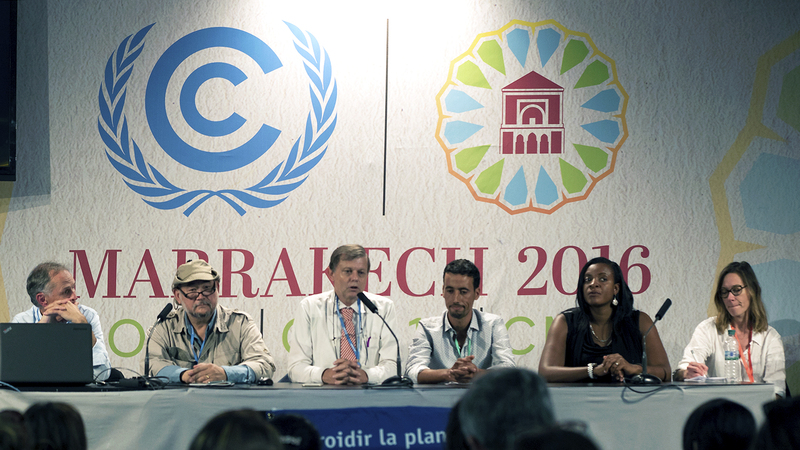 Panelists highlighted that, despite advancements in climate action, the Israeli occupation delays implementation. One panelist also drew attention to the significant difficulties faced by Palestine in accessing the Global Environment Facility (GEF) funding. 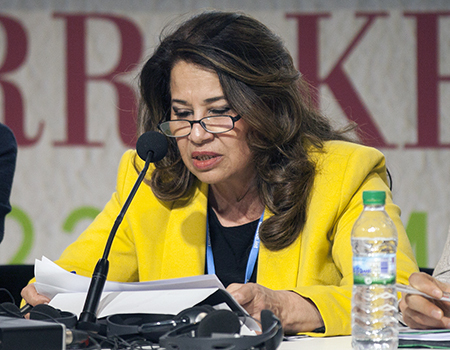 Rima Khalaf, Under-Secretary-General and Executive Secretary, the UN Economic and Social Commission for West Asia (ESCWA), affirmed that climate change is also about human rights. 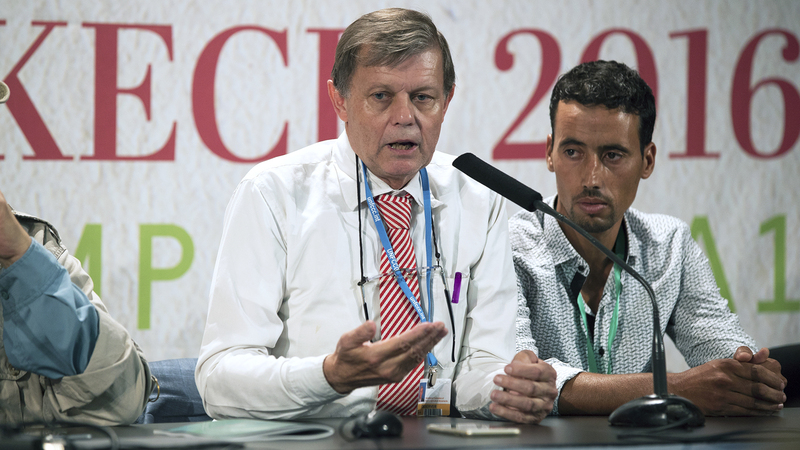 Lars Ronnås, Climate Change Ambassador, Sweden, reaffirmed his country’s commitment to the Palestinian cause and sustainable development efforts.